With our researchers constantly updating our database of over 7,500 journalists, the MediaHQ team watches Ireland’s media landscape evolve day-by-day—literally. While there are some people who relish in the demise of print—perhaps a touch of schadenfreude for hacks who scoffed at the rise of online media—we still have a soft spot for good old-fashioned ink on paper. If you’re looking to brighten up your desk with a stack of mags, check out these five beauties. Popping off the press every three months, We Are Dublin showcases a mixture of long form features, fiction and poetry, coupled with beautiful photography “dedicated to the city”. We Are Dublin has been described as “a new breed of travel magazine”, it explores undiscovered parts of the city—and sheds new light on familiar places like this essay on the M50. The magazine is available in select stockists around the world or you can buy online. A celebration of the modern woman, The Gentlewoman “offers a fresh and intelligent perspective on fashion that’s focused on personal style”. 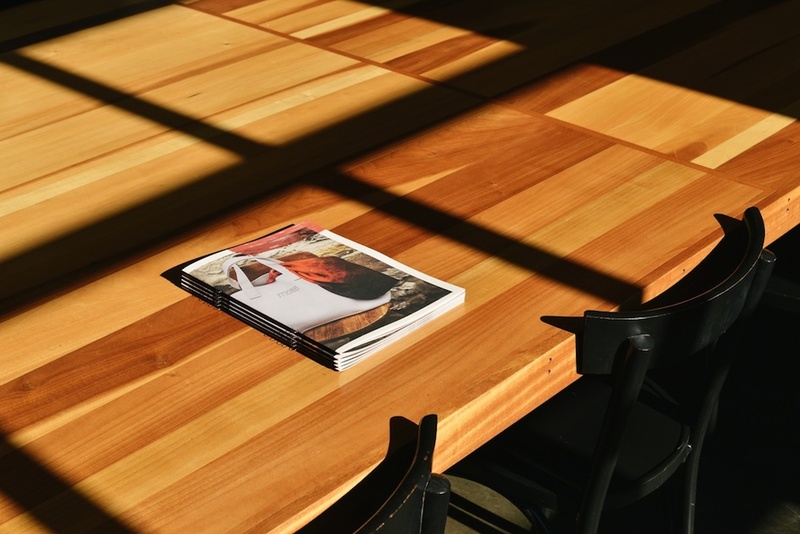 The biannual magazine has a distinct voice that we just love, which creates a feeling of being part of a welcoming club, with enlightening conversation and inspiration. A dash of glamour and oodles of edge, The Gentlewoman is a joy to peruse and always dons a striking portrait on the cover (Kirsten Dunst features on the spring/summer 2016 edition) . You can pick up the latest copy here. If you somehow manage to get your hands on the English-language version of Zeit Magazin, cherish it. This is not an easy find. A collection of translated articles originally published in Die Zeit’s weekly supplement, as well as a few exclusives thrown in for good measure, Zeit Magazin offers intelligent content and clever design. The latest edition celebrates 70 years of Die Zeit newspaper, one of Germany’s most respected broadsheets. Of course, Zeit Magazin didn’t exist 70 years ago, so the editors decided to imagine what the magazine would have looked like had it been published in 1946. They went whole-hog on this one—even the crossword are time-relevant. A brave and creative idea, brilliantly executed. Okay, so Rabble isn’t a magazine, it’s a newspaper. But there are still lessons to learn from the publication. With a clear political agenda, Rabble is a bold, raucous and colourful freesheet put together by a community of volunteers. The paper’s mission is to “create a space for the passionate telling of truth, muck-raking journalism and well aimed pot-shots at illegitimate authority”. It may not be to everyone’s liking, but it is always refreshing and wonderfully illustrated. Proving not only that print isn’t dead, but also that long form journalism is very much alive, Delayed Gratification—a brilliantly clever title, by the way—completely dismisses the concept of a breaking story. Revisiting news stories that have disappeared from the mainstream agenda, the slow journalism magazine values “being right above being first”. You can learn all about Delayed Gratification’s slow journalism movement in editor Rob Orchard’s TED Talk. What are your favourite magazines? Share them with us—@mediahqnews. MediaHQ.com is Ireland’s largest and most dynamic media intelligence company, with contact details to more than 7,500 journalists in Ireland listed on our database. Since we started in 2009, we have helped Ireland’s best known brands connect over 100,000 stories with the media. Today’s JNLR report detailed the figures for the third quarter of 2015. The report, which covers the 12-month period from October 2014 to September 2015, suggests that a whopping 3 million Irish people tune in to the radio every day. That’s a sum total of 83% of the population.